We are the Sonoda Gakuen High School from Amagasaki, Hyogo, and this is our 14th time participaring in the Honolulu Festival. This year, about 300 sophomores perform the dance at the Grand Parade they have been practicing for a year. Please enjoy their cheerful and energetic dance! Kappore is a dance that was usually performed at traditional banquet parties. It became popular in Japan through parade performances. The fun dance is highlighted by performers shouting “Kappore, Kappore” in unison as they kick up their heels. We are juniors from Takaoka Ryukoku High School in Toyama Prefecture. 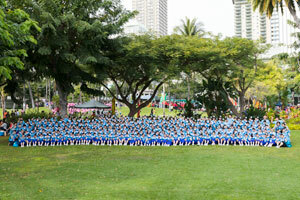 We will be participating in the the Honolulu Festival’s Grand Parade as part of our school excursion experience. We will be performing YOSAKOI at the parade. We ask that you cheer for us alongside the parade route. 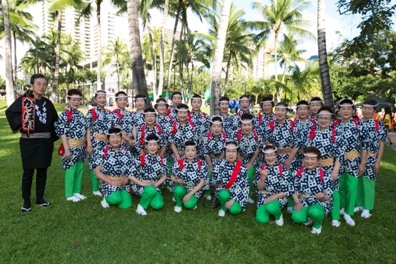 Participating from the first Honolulu Festival, this group loves to share the artistry and beauty of its mikoshi with audiences. We were born to carry mikoshi! Witness the epitome of Japanese tradition – mikoshi katsugi. 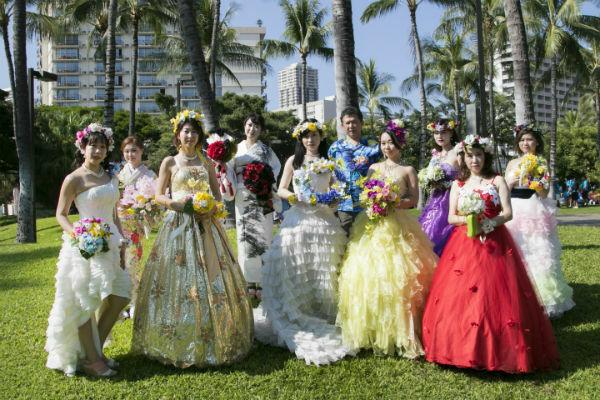 The mikoshi promotes friendship and cultural exchange between the people in Hawaii and the Japanese visitors through the act of bearing the mikoshi tightly together on one’s shoulders. Ise Shima, Toba City is a popular vacation destination in Japan. We perform our new image song and dance of Toba City, famous for pearl cultivation. The pearl is treasured as a good luck gem to celebrate the 30th wedding anniversary.